Surprisingly, this is one of my favorite albums of the decade. It really came out at the right time for me in my life when I was lonely, angry and heartbroken, so it all worked out for me and fit my mood at the time (just like Cold’s 13 Ways to Bleed on Stage simultaneously). I usually rally against most grunge-influenced hard rock, and I can see that I shouldn’t like this album, but I do. In fact, I love it and I’m not even sure why I picked the album up all those years ago because I remember the lead single “Control” getting lots of radio play and it was the generic post-grunge song to me. “Blurry” was the album’s biggest hit, and my favorite on the album, but I’m pretty sure I picked this up before that was a single, so I guess I was desperate for a “new” band to listen to. 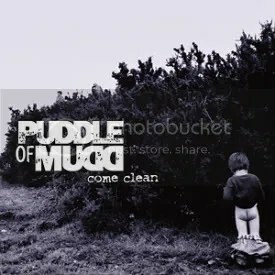 Puddle of Mudd is really the brainchild of lead singer Wes Scantli, but the band was heavily championed by Limp Bizkit frontman Fred Durst (who signed them to his imprint over at Geffen). Don’t worry though, they have absolutely nothing to do with nu metal/rap-metal and are more derivative of Nirvana mainly (especially on “She Hates Me” and “Nobody Told Me”) with a bit of Alice In Chains thrown in. Odd thing is, as much as I enjoyed this album, I never tried anything after that. I guess I’ve always been afraid this album was a fluke for me. Maybe someday I’ll get around to it though.